This site is for all Great Dane 28 owners and enthusiasts! The aim of that website is to share knowledge about anything that is remotely related to a Great Dane 28. 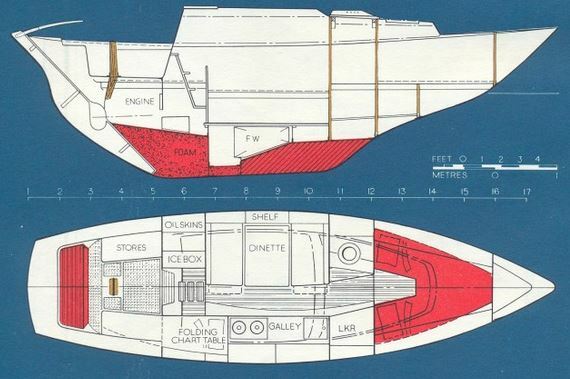 Topics such as the boat's history, its description, K. Baess, A. Utzon or the boat specification can be found in the "History & Design" page. The "Boats" page contains a list of known boats still sailing today and where they are. Many owners invite you to visit their own page on which you can see more of their boat! There is also a "Forum" page so that every website member can be interactive within the community. Velkommen til Great Dane 28 ejernes hjemmeside. Vi er glade for at så mange allerede har kigget indenfor og ladet sig registrere og bidraget med gode historier og billeder. Specielt til danskerne (og svenskerne): Vi håber, at I undskylder at sitet er på engelsk da alt for mange af vores kolleger ikke forstår dansk (selv om der faktisk er et par stykker der gør). Hvis I synes, at I har en god GD historie at fortælle men ikke har lyst til at forsøge jer ud i det engelske er I velkommen til at kontakte Ole (Brise II): moc.liamtekcor|detsor_elo#moc.liamtekcor|detsor_elo for at få det oversat og videresendt til webmaster. than a Great Dane sailing by. As you see, this website has been created in the form of a Wiki so that any member can edit pages and share some of their knowledge. To become a member, click on how to join this site?, create an account first and then login! It is free. To edit a page, go to the page and click the Edit button at the bottom. You can change everything in the main area of your page. The Wikidot language is easy to learn but powerful. If you feel uncomfortable about editing or creating pages within the wiki but have written a great article about your last cruise or have completed a major job with loads of pictures and don't know how to post these on the site, please email Christian Möller(Site Administrator) or John D Willimann.